Son of the late Rev. Conway R. D. Carter and Mrs. Conway Carter, of St. Erth; husband of Helen Lilian Wilmot Carter, of Mena House, St. Erth. Born at Exeter. CARTER, Herbert Augustine, Major, 40th Pathans In 1903, at the age of 29, Carter was a lieutenant in the Mounted infantry, of the Indian Army during the Fourth Somaliland Expedition. On the 19th December when his section was retreating from a force of Dervishes, he rode back to rescue a comrade who had been dismounted from his horse. He was awarded the Victoria Cross for his bravery. An extract form the London Gazette, dated 9th Dec., 1904, records the following:- During a reconnaissance near Jidballi, on the 19th December 1903, when two Sections of the Poona Mounted Infantry and the Tribal Horse were retiring before a force of Dervishes which outnumbered them by thirty to one, Lieutenant Carter rode back alone, a distance of four hundred yards, to the assistance of Private Jai Singh, who had lost his horse, and was closely pursued by a large number of the enemy, and, taking the Sepoy up behind him, brought him safely away. When Lieutenant Carter reached Private Jai Singh, the Sections were several hundred yards off. During the Great War Herbert CARTER was serving with the 101st Grenadiers (Indian Army) and was attached to the 40th Pathans in East Africa. He died from the effects of exhaustion after effecting the relief of Mwele Mdogo, Kenya; while suffering from fever he made a forced march of two days under intense heat to reach the fort in time. The CWGC record shows that Herbert CARTER is buried in ST. ERTH (ST. ERCUS) CHURCHYARD in Cornwall. He is the only CWGC casualty buried there. It raises the question of how his body was repatriated to the UK when the policy at the time was that enshrined in the ethos of Fabian Ware and the Imperial (later Commonwealth) War Graves Commission that the fallen should be laid to rest where they fell and not be repatriated for interrment. We have asked the CWGC for clarity on this. The Masonic Roll of Honour published in 1921 offers an example of how the data could prove to be innacurate. The return for Herbert CARTER was published as Herbert CARER! One wonders if the VC winners could be incorrect, what was the data reliability for less wel known brethren. We estimate that 20% of the data in the 1921 Roll of Honour was incorrect in some aspect. He was one of 12 English freemasons who were VC winners and who were killed in the Great War. The others were NORWOOD, BROMLEY, WATSON, DIMMER, REYNOLDS, McNAIR, COLLINGS-WELLS, LUMSDEN, NELSON, HALLOWES & HARTLEY. The East African Campaign was a series of battles and guerrilla actions which started in German East Africa (now Tanzania) and ultimately impacted portions of Mozambique, Northern Rhodesia, British East Africa, Uganda, and the Belgian Congo. 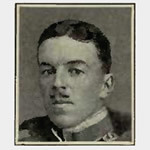 The German colonial forces, led by Lieutenant Colonel Paul Emil von Lettow-Vorbeck, skillfully fought for the duration of World War I and surrendered only after that war had ended. Other campaigns were conducted in West and South West Africa.